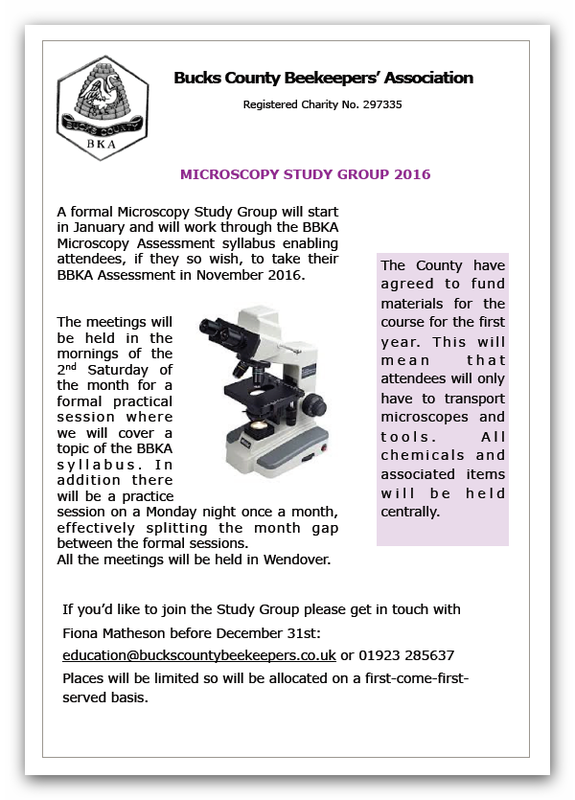 A formal Microscopy Study Group will start in January and will work through the BBKA Microscopy Assessment syllabus enabling attendees, if they so wish, to take their BBKA Assessment in November 2016. The meetings will be held in the mornings of the 2nd Saturday of the month for a formal practical session where we will cover a topic of the BBKA syllabus . In addition there will be a practice session on a Monday night once a month, effectively splitting the month gap between the formal sessions. All the meetings will be held in Wendover. Places will be limited so will be allocated on a first-come-firstserved basis. have to transport microscopes and tools. All chemicals and associated items will be held centrally.